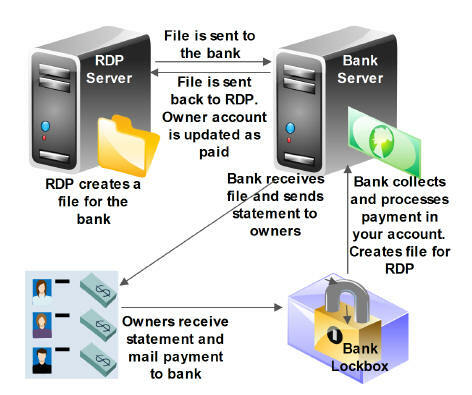 The RDP property management system interfaces with your bank's Lockbox service. The Lockbox interface saves you time when it comes to sending statements and processing receivables from your owners. For more information the Lockbox interface, please contact RDP.